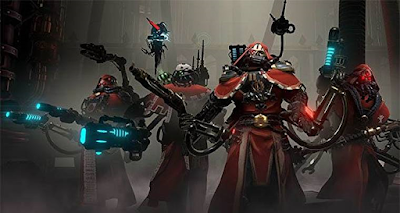 We have added everything we know about Warhammer 40,000: Mechanicus including its review, gameplay, story, trailers, walkthroughs & you can find more information in this article so keep scrolling till the end. Warhammer 40,000 franchise has one of the largest fantasy worlds that filled with exciting lore & abundance of conflicts. Warhammer 40000: Mechanicus let gamers control The Adeptus Mechanicus as they discover a fresh world known as Silva Tenebris, & gamers need to take care of their resources & choose the best tactic to achieve success. Adeptus Mechanicus explorators have revealed something ancient & deadly on the dead planet of Naogeddon. Lakias Danzager of the Adeptus Mechanicus is exploring the old tombs uncovered by the missing explorators. The Adeptus Mechanicus is a team of mankind who love technology & machines. They live on Mars & they are constructing the Imperium’s tech, while they are also maintaining a military. You can control a powerful army known as Adeptus Machanicus. You are the leader of the team that are searching the tombs of the Necrons for valuable information. Your choices will shape the game story & it will choose the fate of your team. You can improve the strength of your teammates limbs with mechanical augments build from the metal of the Omnissiah. In order to customize your troops, you can choose from tons of options, making a team that suit your playstyle. You can collect dangerous data from the unexplored tombs to get tactical advantage over your foes. You need to make hard choices that will shape the future of your troops. These choices will push you towards alternate endings for a unique walkthrough. You can get gear for your protection. Some of the gear will provide defense buffs but multiple gears will have abilities too. In combat you have the advantage of taking cover so you can protect yourself from enemy gun shots. You can move your troops around, use skills & weapons on rivals, & expect them to do the same to you. 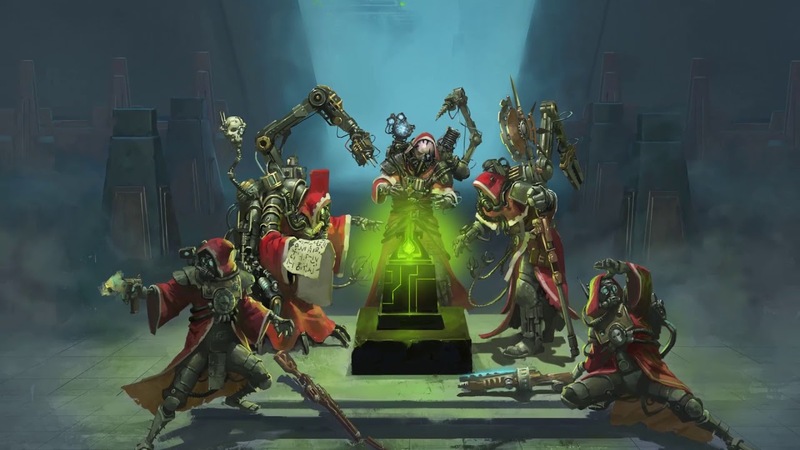 The Adeptus Mechanicus are the mankind’s final source of tech knowledge. They think that all equipment has machine spirits that needs to be placated so that they can function properly & for that purpose the Machine Cult’s maintenance rituals involve a lot of incense, sacred oils & chanting. On the dead planet of Naogeddon, dangerous tombs, lost explorators & deadly defenders cause problem for the Adeptus Mechanicus but the biggest danger might come from within. Warhammer 40,000 was released on PC on 15 November, 2018. Warhammer 40K: Mechanicus will not run if your PC specifications are lower than minimum requirements of this game. For best performance, make sure your PC specifications are equal or higher than Warhammer 40K: Mechanicus' recommended requirements. Watch Warhammer 40,000: Mechanicus teaser trailer. Watch Warhammer 40K: Mechanicus gameplay trailer. 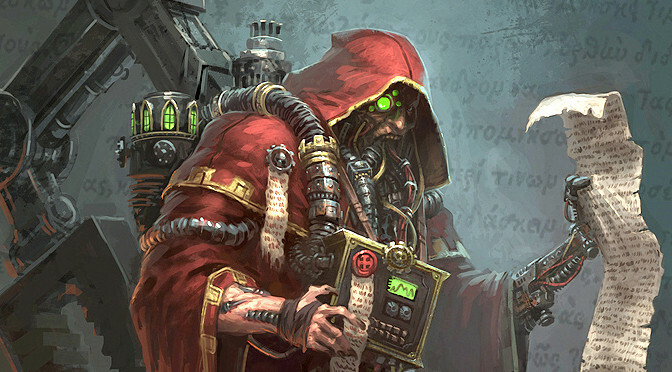 Watch Warhammer 40K: Mechanicus gameplay walkthrough developer interview. Watch Warhammer 40,000: Mechanicus gameplay preview.